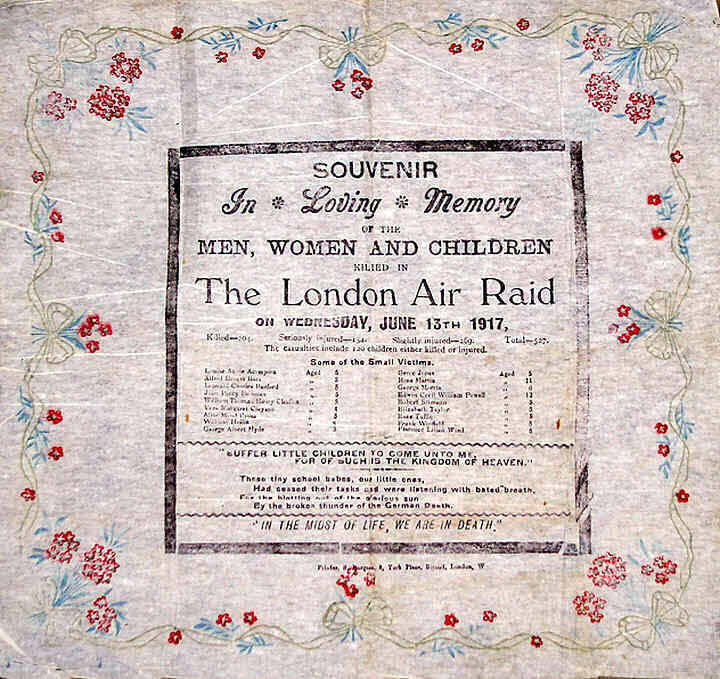 Paper souvenir of the air raid on London June 13 1917. During this raid Upper North Street School, Poplar, received a direct hit killing 18 young children. Their memorial is still located in Poplar Recreation Ground.